In Kampong Tralach, an ox cart ride will show you the Cambodian countryside and you’ll meet a local farmer and learn about his daily life. 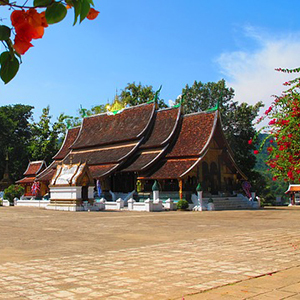 The temple of Wat Hanchey, perched on a hilltop, will provide the most stunning views, and then take part in a traditional water blessing with local monks. Continue your journey into Vietnam and stroll through a local market-a unique opportunity to see locals buying and selling fresh produce. Via sampan, visit the home of a local family for a cotton-weaving demonstration and a local workshop which makes rice wine and traditional candies. In bustling Ho Chi Minh City, try your hand in the kitchen with a Vietnamese cooking class and go on an excursion to the Cu Chi Tunnels-the extraordinary network of tunnels used by the Viet Cong during the war. Fly to Hanoi and explore the famous sites, such as the Old Quarter, where peddlers have traded goods for centuries on its 36 ancient streets. 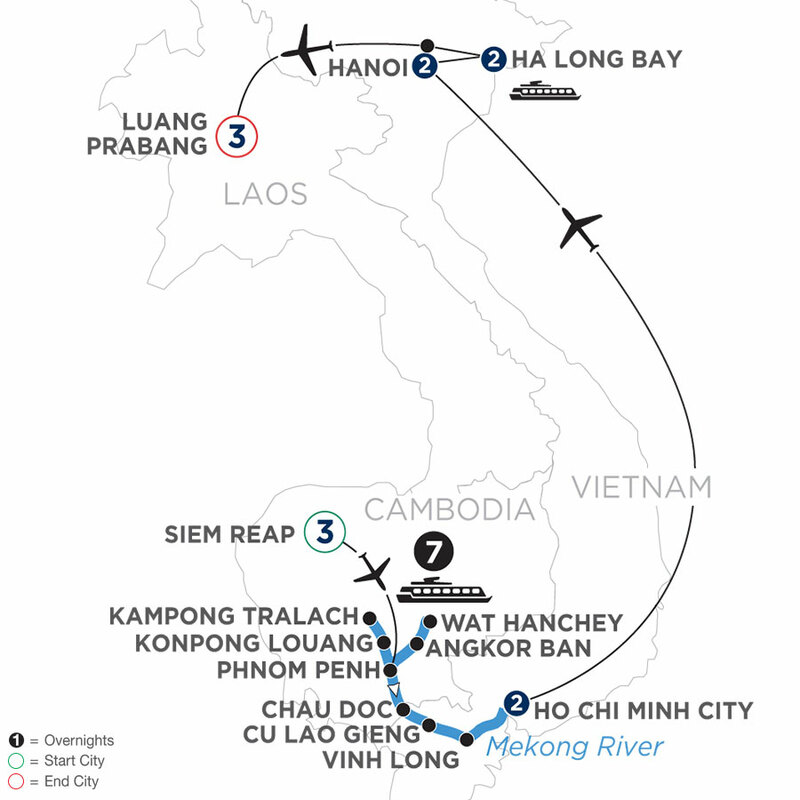 Next, a remarkable 2-night cruise along Ha Long Bay will show you its beautiful Limestone Islands. You’ll visit the Cua Van Floating Village, spectacular caves, and even go for a swim at Ti Top Island.